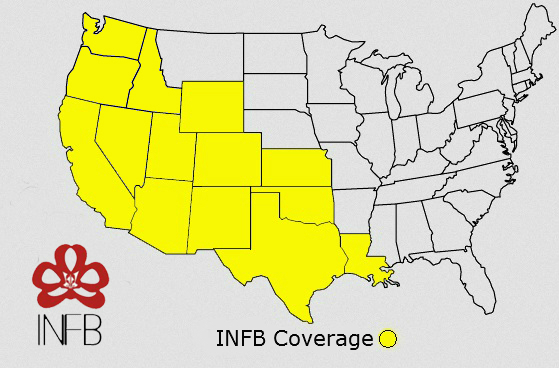 Across the West Coast, INFB knows the industry and your specific market inside and out. ​That results in higher sales for you! • Whole Foods: Rocky Mountain, Southwest, SoCA, NoCA, Pacific Northwest • Natural Grocers by Vitamin Cottage • Sprouts Farmers Market • Pharmaca • Lucky's Market• Alfalfas • Harmons • Good Earth • Green Acres • HEB • Central Market • Vitamins Plus • Brookshire • Market Street • Fiesta Market • Akin's • Reasor's Foods • Homeland • Rouses • Bristol Farms • Gelson's • Mother's Market • Lassens • Jimbos • Erewhon • ASU • Bashas' • AJ's • New Season Markets, Market of Choice, PCC, Metropolotain Market • Rosauers/Huckleberry's • Raleys • New Leaf Community Markets • Nugget • Mollie Stones • Lunardi's Market • & other localized chains & independents across the states of: CO, NM, UT, KS, WY, TX, OK, LA, AZ, OR, WA, SoCal & NorCal. The INFB client list includes some of the fastest growing natural foods and body care lines on the market today. With decades of experience, INFB's founder and staff know the industry inside and out. That results in higher sales for you!